A closer look at the newest Vokey wedges. 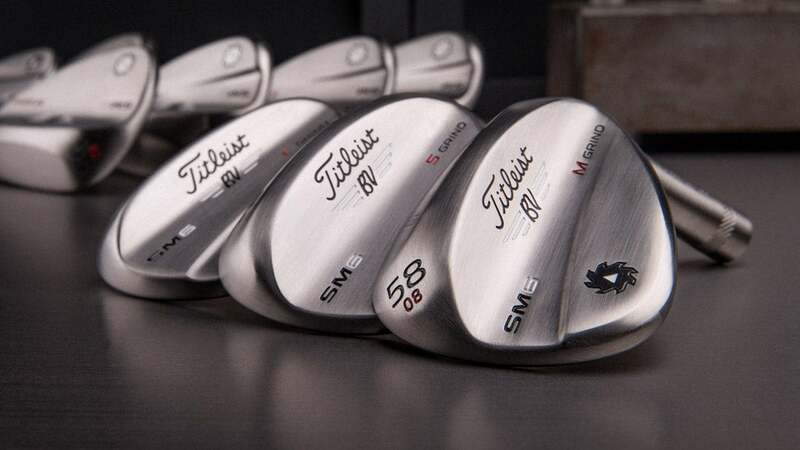 One of the most popular wedges on Tour, the Vokey Design SM6, is now available in a raw finish that was previously only available through Titleist's Tour department. The Vokey Design SM6 Raw wedges ($195) feature the same design features as the standard SM6 wedges including a new progressive CG design that aligns the CG with the impact position of each individual loft for improved trajectory control as well as spin milled TX4 grooves and a new face texture that deliver up to 200 rpm more spin on average than previous Vokey models. The SM6 Raw wedges also come in six lofts (50, 52, 56, 58, and 60) with 12 loft/bounce/sole grind combinations that include F, M, S, and K grinds. Available in both left and right hand, the new SM6 Raw wedges can be customized with personal stamps and paintfill colors through Vokey's WedgeWorks program.